The MODRoto 90PSL bulk laundry cart features a breakthrough design that combines the double protection of a solid rooftop and durable, lockable doors with the versatility of a roundtripper suitable for both clean linen delivery and for soiled linen pick up and return. And it comes in a smooth, sleek exterior for high style, visual appeal. To protect precious linens, a built-in lock and key are included as standard. 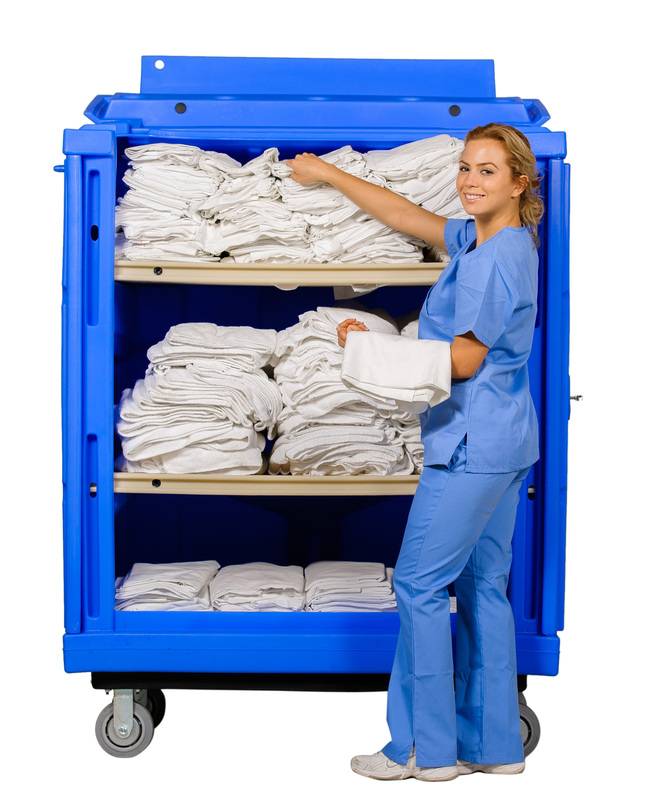 Developed for commercial laundry services, hotels, resorts, nursing homes, spas and other lodging and institutional facilities, the 90PSL boasts an innovative, solid split top that protects linens during storage and transport when closed and locked. 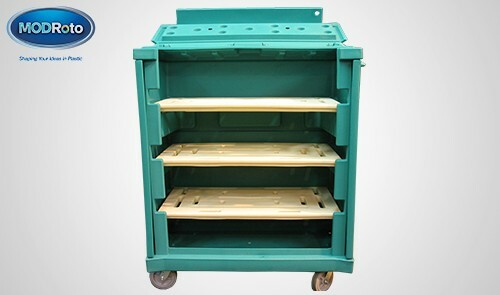 When opened, the split top invites easy, ergonomic access to the clean or soiled goods. 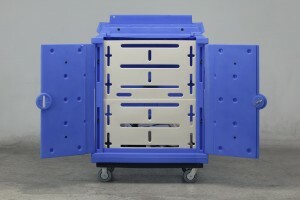 When ready for return, the two plastic shelves are easily slid into a vertical, bulk bin position by one person, transforming the delivery cart into a bulk truck. 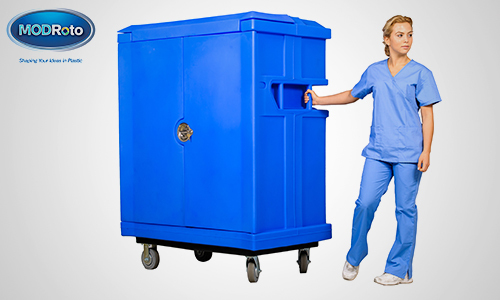 The rugged bulk linen truck is rotationally molded in a single unit of 100% polyethylene for strength, impact resistance and immunity to water, disinfectants and inclement weather. 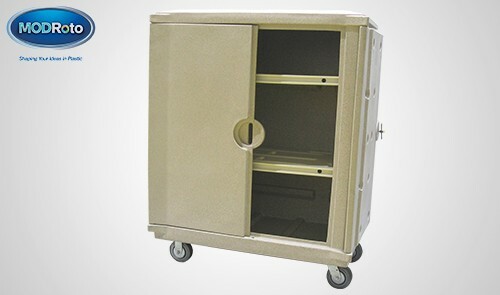 The durable body is set on our full-perimeter, powder-coated, steel base as standard (poly-steel base offered as an option) and rolls smoothly on six-inch, industrial grade, non-marking casters. 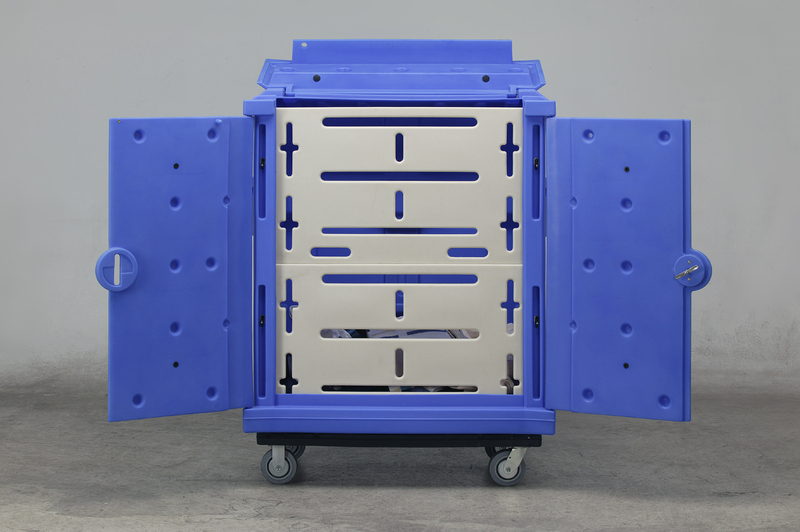 Dual recessed handles on both sides of the laundry cart prevent bumps with walls and corners and promote ergonomic handling.